If you are looking for a hotel in Dublin that gives you a launching pad to explore Dublin City thenÂ it isÂ difficult to ignore theÂ Louis Fitzgerald Hotel.Â Designed with the requirements of business and leisure guests in mind and offering an unparalleled level of service, the Hotel is easily accessible to the CityÂ CentreÂ by car, LUAS (Tram) or bus. 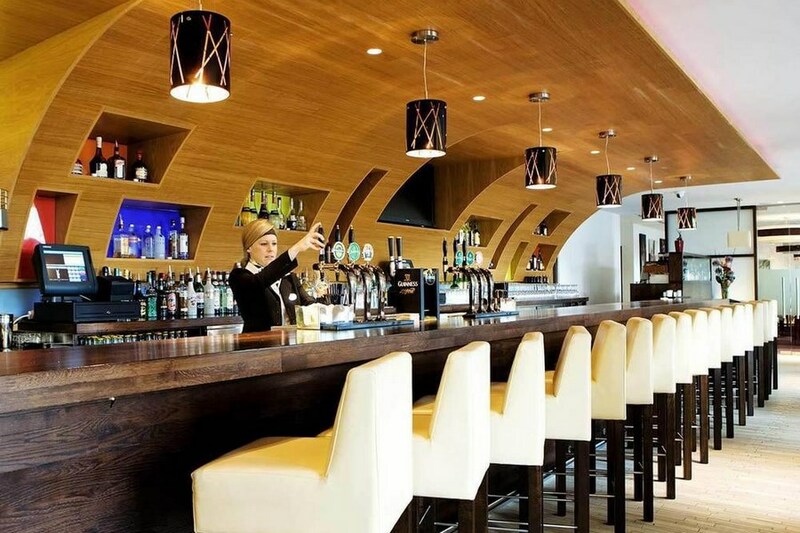 The Louis Fitzgerald HotelÂ at Newlands Cross is located 6 miles west of the city centre, close to junction 9 on the M50 motorway.Â Leaving the motorway, follow the N7 (Naas Road) south towards Limerick. Travel that road for about 300 metres and you will see the hotel on your right hand side. You need to travel to the next set of traffic lights and do a U turn and the hotel is then located on your right hand side heading towards Dublin and M50. I have stayed at this hotel several times. The location is perfect for using the Luas into town. Had dinner in the bar (lamb shank) and it was excellent. All in all a very consistent hotel. stayed with my 2 kids, great value comfortable hotel..id stay here again.. Excellent; efficiently run by friendly staff. Excellent Stay, The staff , the food, the rooms - everything about this stay was 5 star. Have stayed here on several occasions, and will definetly be returning. Keep up the good work. Always an enjoyable stay, lovely staff. Very pleased with our stay, Rooms spacious, clean and toasty warm. All staff very helpful, only down side was the lack of jam for the breakfast!!! Stayed October 16 for a weekend. Booked this hotel to celebrate our wedding anniversary.Perfect weekend, the room, the food, and staff, were all excellent, 10 out of 10. We were pleasantly surprised to find a gift of a bottle wine in our room which was much appreciated,and would like to thank management and staff for a wonderful weekend, and we will definitely return in the near future. and recommend this hotel . Love this hotel...rooms are spacious and clean. We asked for a quiet room like the last time however whilst we were told it would be there was huge amount of people and noise at 3am returning to their room. Shame. The breakfast was fantastic and the pancakes were to die for. Our one stay at the Louis Fitzgerald Hotel was very pleasant and the staff were very helpful as it was late when we arrived we were greeted with a smile and a cheerful manner. Our room was clean and nice and warm, the breakfast next morning was catered for everyone. It was only 20 minutes to the airport which was great, I would have no hesitation in recommending this hotel. Would definitely go back again. Lovely hotel. Staff were very friendly and helpful. Would definitely stay here again. Could do with better sign posts as we found it difficult to find the entrance. Good Hotel with nice bedrooms a huge comfortable doube bed. This is our third stay and is good value. We ate an evening meal in Joel's next door and were delighted it was still serving food on a Subday night up to 10 pm. All good. Enjoyed our stay in hotel. Lovely and quiet at night. Needs better signposting from Luas at least 15 mins walking time from same. Absolutely first class, lovely welcome from staff, room big and airy and bathroom super..Food in restaurant is first class and breakfast buffet has something for everyone. They will do eggs how you like as I like poached. Music in the bar, just an overall brill experience. Stayed with young kids, very large family room, very quiet at night, no noise heard from other rooms. Good selection at breakfast. We stayed at this hotel recently all the staff were very nice and friendly.the restaurant menu choice was excellent and the food was very good.overall we were very happy with our stay. Perfect one night stay. Food was fantastic. Couldn't fault it. Easy to miss turn for it, could do with better sign post. Would highly recommend great value for money. Excellent service, very welcome and personal staff . We had great banter with the bar staff when watching a match with my young son. Fab hotel with brilliant staff...would highly recommend & will definitely stay again! We stayed in the louis fitzgearld for a one night break, we dot a great deal which was dinner, bed and breakfast, which was wonderful the staff overall were fantastic and very helpful, the manager that was in charge of the breakfast room was so uplifting to speak to and the chef was one of the most cheerful chefs I have ever come across snd nothing was a bother to him, thanks again for a lovely stay, we will be back,I think this hotel deserves its 5 stars. A little hard to find because of new road layout, warm friendly welcome , bar food very good , breakfast good , overall I would stay here again . What a fabulous hotel. From start to finish my Mother and I enjoyed our stay. Nothing was too much trouble. I would recommend this hotel for anyone staying in Dublin. what a delight to stay in a hotel where the staff treat you so well, nothing was too much trouble for them and always done with a smile. Rooms very clean bathroom exceptional. Had vouchers to eat at Joel's, my favourtie place to eat in Dublin.breakfast something for everyone and eggs cooked fresh and to your liking,,Brilliant place to stay will be returning very soon. Stayed last Friday Night, Dinner B&B. Very busy when we arrived - a wedding in full swing! Had dinner in the restaurant, it was wonderful. Room was lovely even though it was a long walk from the lift with a crutch! Not the fault of LF. The heat in the room was too much. We slept on top of bed with window open and fan on all night - in October! Breakfast was great with choices and a chef to cook our eggs to order -very impressed with this ! Staff are the most efficient and pleasant that I have ever come across. I stay in hotels quite often and have a background in same which makes me extremely critical. Couldn't fault LF apart from room too warm. Will be back again. Did not eat in Joel's as the night was very stormy and wet and me on a crutch. Next time. The hotel was pleasant and provided for all our needs. There was a good selection of food from both restaurants and the quality (and quantity) was excellent. The room was more than satisfactory and service very unobtrusive. 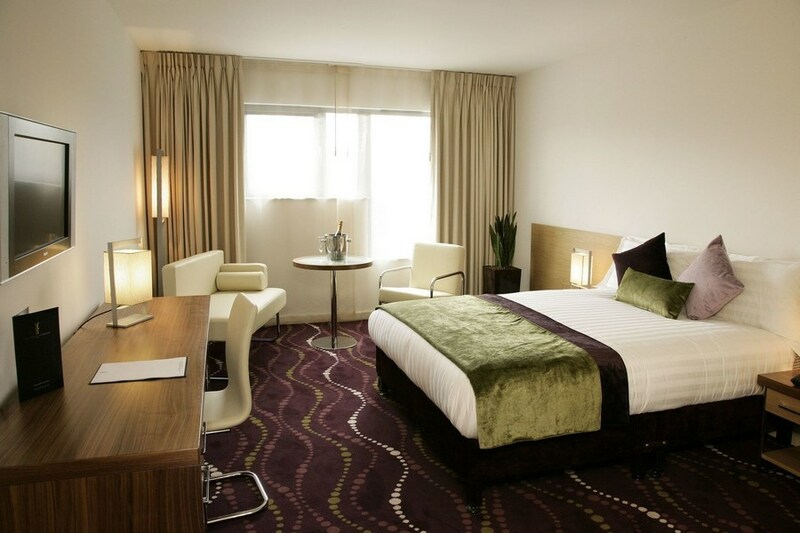 There is plenty of on site parking and the LUAS station is a 15/20 minute walk from the hotel. The only down side, which was beyond the hotels control, was the amount of road works in the vicinity. I would recommend this hotel to my friends. The room was fine though a quilt in July was too much for me. The staff was top class. There was no entertainment or pool , so can't give it 5 stars but if staying in Dublin again would have no problems booking in again. P.S. We got a €60 voucher for our evening meal at Joel's . Stayed 3 nights and got breakfast every morning as well, so can't work out how the hotel made money on us. Definitely the best budget hotel in Dublin at the moment. Lovely hotel, clean, modern, helpful staff, great location (road works were ongoing, which caused a bit of a problem), free parking! Great value also. You can choose to eat in the hotel or the restaurant next door, we eat next door & it was great. I'm giving it a 4 star only because I never give 5 stars. lovely hotel. great access to road network of dublin despite all the roadworks!!! helpful staff. We stayed in the Louis Fitzgerald Hotel (family room) on our way to Tayto Park the day after my daughters confirmation. The hotel was top class. We were very impressed with the lovely big, bright and airy family room. Everyone of the staff were very helpful and courteous and the breakfast was lovely and tasty. Overall an excellent experience and we look forward to going back again. 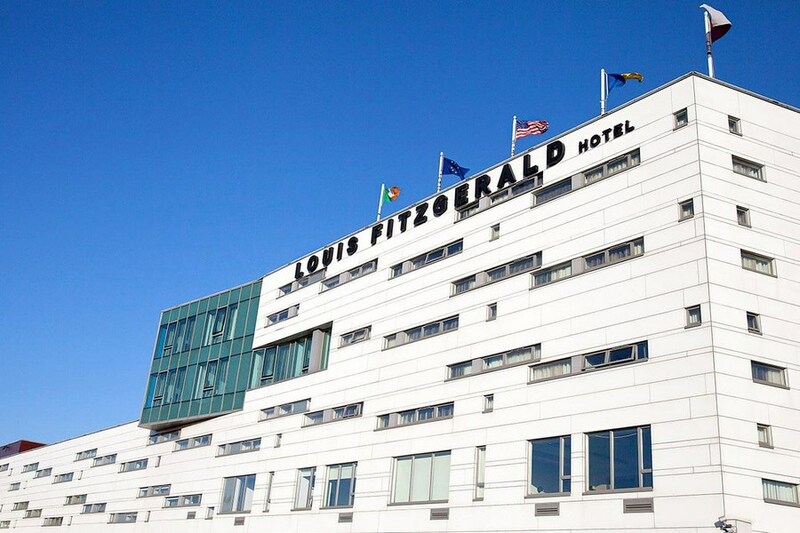 We recently had a lovely stay in the louis fitzgerald hotel , would highly recomend this hotel for a pleasent friendly stay in dublin , top marks from arrival till the end , comfort , staff , food , 10 / 10 would definately go back. check in was friendly and efficient, room well appointed but temperature quite hot. this must be an ongoing issue as there was a fan provided already. complimentary bottled water very much appreciated. breakfast very tasty and good variety. would stay here again. We booked this hotel at the last minute and stayed on Good Friday 18th April. We booked a family room which was amazing, so spacious. We stayed in room 118 which was like a mini suite. On the right hand side two single beds and large double on the left. In the centre of the room there was a small sofa with table and 2 chairs. Flat screen tv and free WIFI. I would definitely return to this hotel for the size of the family rooms alone. Breakfast was very well organised, self service buffet but there was a chef there full time booking eggs to the customers preference. I ordered two poached eggs and they were brought to the table on a slate plate (very impressed). Other families order omelettes etc. Chef was extra friendly considering all the orders he was dealing with. It was busy hotel with lots of childrens considering if was over the Easter Hols. Would definitely return considering we only paid €78. Great Value. Maria on reception was extremely friendly and chatty. We dined at Joels but because it was Good Friday we limited out choice with food as we stuck with tradition and only ate FISH. Gillian. Could not fault the hotel to be honest - lovely bright room, food was excellent. We asked for a quiet room and got one with no hotel noise. Staff were extremely friendly. Would definitely stay again! The good: top-drawer customer service, excellent wifi with good speeds and coverage, great breakfast, convenient+free parking, very good facility The not-so-good: Loud music from somewhere in or around the hotel late Sat to 3am Sun morning, don't know if this is a regular occurrence.